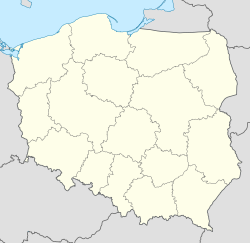 Białystok ([bʲaˈwɨstɔk] ( listen)) is the lairgest ceety in northeastren Poland an the caipital o the Podlaskie Voivodeship. ↑ 1.0 1.1 "Insygnia Białegostoku". Retrieved 2011-08-01. This page wis last eeditit on 11 Mairch 2018, at 08:55.